OK, so I know that garlic is not always the first thing that comes to mind when one thinks superfood, but dammit you should! It is so delicious and beyond nutritious. 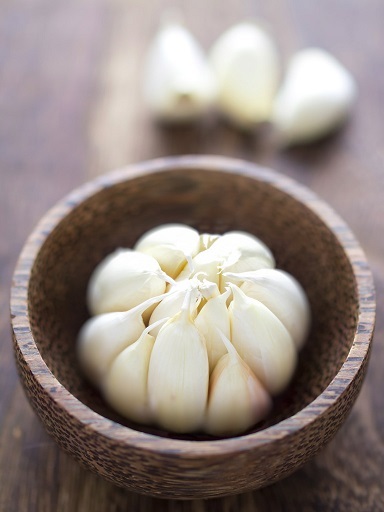 – Allicin, which gives it it’s CHARMING smell is the active ingredient released when garlic is crushed, stimulates the immune system. How, oh how, do I do it? To prepare guacamole: Place unpeeled garlic in a small dry skillet over medium heat; cook, turning occasionally, until soft and blackened in spots, 10 to 15 minutes. Cool, then slip off the skins; finely chop. Scoop avocado flesh into a large bowl. Add the garlic, cilantro and lime juice to taste. Coarsely mash everything together. Season with salt. Transfer to a serving bowl and place plastic wrap directly on the surface of the guacamole. Refrigerate until ready to serve. Next: Are You A Commuter?